The Earl and Countess of Wessex embarked on a visit to Finland, meeting with President Sauli Niinistö and his wife, Jenni Haukio. This black Tom Ford dress (per the Countess of Wessex blog), black boots, and print scarf on the Countess seems a little too clingy and a little too casual to me, so I have to give this one a miss. 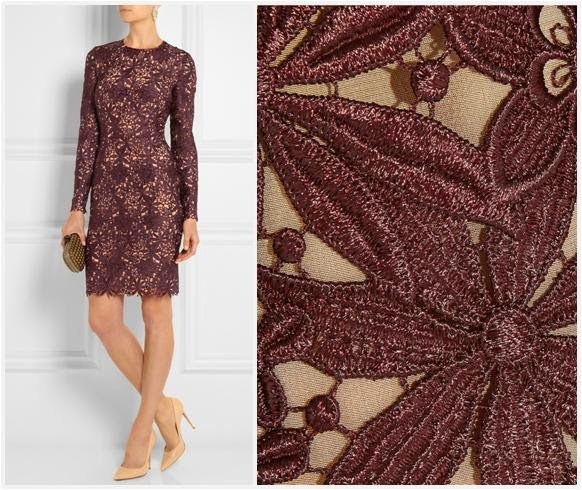 Later on, Sophie opted to repeat a burgundy guipure lace dress. I'm not the biggest fan of the large scale laces, but this is lovely on her. It's from Stella McCartney, but most definitely in the shallow end of the Stella pool, so to speak (which is most definitely where Sophie should stay). And now we bop over to the Prince of Wales and the Duchess of Cornwall, who attended the British Asian Trust Dinner last night. Camilla's worn this gown many times, and the best thing about it is that she uses it to showcase whatever purple gems she can dig out of her vault. Hellooooo, amethysts. You know you're dealing with some major earrings when they're powerful enough to be spotted through the signature Cams 'do. She's also sporting her diamond serpent necklace, one of her favorites, but I only have eyes for the purple. Prince Harry met marathon runners raising money for RFU's Injured Players Foundation and visited a youth project. And here's your Very Important Harry Update: He continues to do casual wear better than any other royal.